Ask questions & get a tour of your new user interface! In order to support our UC Learning Center (UCLC) upgrade, we are scheduling three UCLC Open Labs for anyone who has questions about how to use the new version of the software. As a quick reference, we've attached a peek of our new Learner Dashboard at the bottom of this announcement. 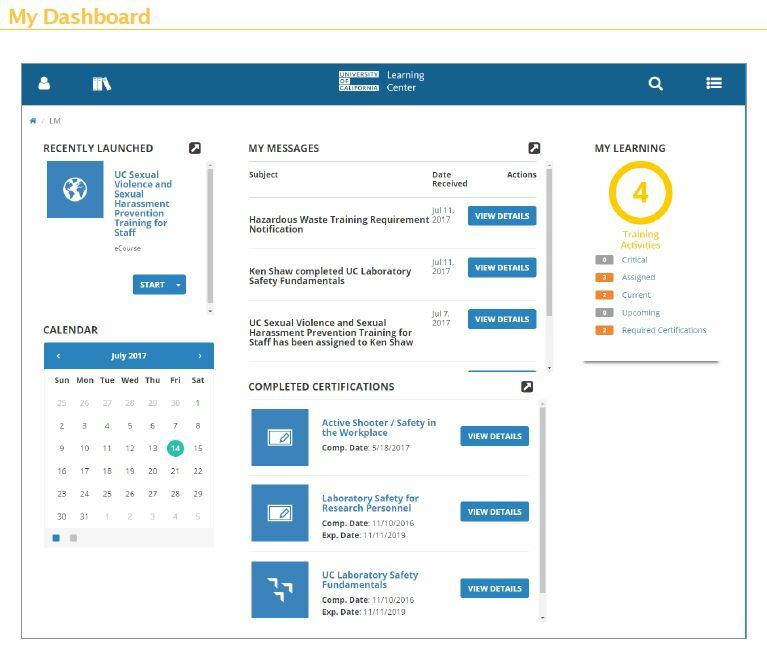 The UC Learning Center is the web-based Learning Management System (LMS) used across the University of California for Systemwide training and development. 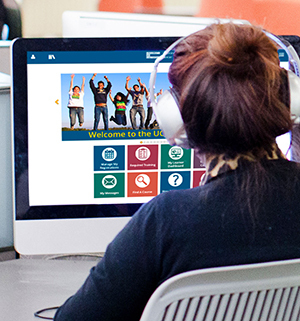 Faculty, staff, and student employees are automatically assigned a UC Learning Center account. The LMS software performs a variety of functions related to online and in-person training administration and provides additional tools which support career development, competency and talent management. The systemwide UC Learning Center team has crafted several training videos that walk users through some of the most common tasks. Note: most of the Manager functionality will not be available until after UCPath is implemented on our campus. There is a UC Learning Center Support Team currently in-place. We are here to answer all of your questions that revolve around this upgrade. You can reach out to us by emailing LearningCenter@ucsc.edu. There will be user guides available online and for downloading. Our goal is to make this upgrade feel as seamless as possible. Let us know if we can answer any questions to help you and your department through this transition. We are moving to a cleaner design which will allow you to easily access the system’s most utilized features.